How to make a good website? Wordpress or Voog — which one to choose? How to write content that gets your website on Google? How to pick the right webfont? The end of the road for Edicy. Long live Voog! Musicians, do you really need a website? Which CMS suits you best? Why should your website be in multiple languages? The most important part of any company's web presence is — of course — their website. Content is in turn the most important component of those sites. Unfortunately, people don't know what to write there, how to lay it all out. 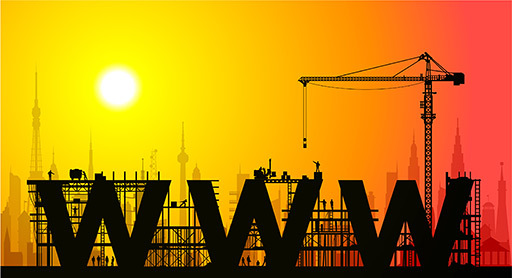 The most important part of any company's web presence is — of course — their website. Content is in turn the most important component of those sites. The reason why so many websites are left behind (or even worse, never made) is always the same. People don't know what to write there, how to lay it all out. We've created Voog design templates so that you'll have this tough part — initial site structure and default content — in place right away. On the basic level most of the websites are very similar. Here's our universal cheat sheet for your website's structure that's reflected also in any of our designs. This is company name or logo. Headline or slogan (describing what you are, do or sell). A short paragraph introducing the business model or proposal of your company. A good guide to think about reasonable length is: "Does it all fit on a smartphone screen?" Key illustration. It is a very good idea to put an image to the first page that describes what you do. You can find a suitable one from iStockPhoto or some other image stock for a small fee. You might even find a logo icon from there. Menu with links to all second level sub pages and alternative language versions of the website. Footer or sidebar with contact information. In case you have more than one case study presented or product sold, you should start with a separate page for product or case study listing. Each product or case should then have a separate page so visitors can share a direct link to it. It should feature the name, description, some images and a call to action — e.g order the product or get a quote for a similar product. Separate contacts page will probably show up in search results if someone Googles you, making you easier to find. You should also keep a short version of your contacts on the footer of every page. Voog standard themes have a footer with shared content among pages. Enter it on a page and it will be automatically on every page. Another important thing besides contacts, that web viewers are looking about you, is how active you are. Inactive websites bring less leads because visitors think the same inactivity might be true for the whole business. Best way to avoid this perception is to run a news or blog page which you'd update at least monthly. No need to write long novels, your customers just need to know you are doing well. Linking to relevant news pieces in mainstream media spiced with short comments from your behalf will make a good blog post too. So all you'll have to do now is sign up for Voog and it will automatically guide you through the process of making your first website in a matter of minutes. Oliver is the guy who makes Voog work in your browser. He's passionate about making Voog ever easier to use by bringing the latest browser technology advancements on board.